Volunteers are needed for a great many tasks: doing trail work, helping with maps and trail guides, writing articles for newspapers or our newsletter, planning and leading trail walks, advocating for trails, reviewing plat maps and helping to get trail easements, manning the Newcastle Trails booth at Newcastle Days and other local events. We also need board members willing to do work beyond our monthly board meetings. Positions we need to fill include: Secretary, Webmaster, and Mapmaker. Only the first is a board position, and you needn't be on the board to join a committee. A Volunteer Release Form	must be signed by every volunteer at the start of their first work party. Once signed, it remains in effect for future work parties. Boy Scouts doing an Eagle Scout project must fill out additional forms that govern such projects. Trail work is available for everyone: for some tasks, no special skills or strength is required. Trail construction includes clearing with loppers and rakes, culling the soil of organics, and contouring the trail bed. Tasks are assigned based on skill, capability, interest, and personal goals. There's work suited to wrestlers, football players, and those looking for body contouring or weight management. And there's light work clearing brush. What to Wear & Bring: Please wear long pants, sturdy shoes, and sunscreen or long sleeves and a hat. Bring water and a snack. We have enough tools for about a dozen volunteers, but it would be helpful if those who have their own shovels, pick-mattocks, and loppers brought them. We have a good selection of gardening gloves, but you may also bring your own. Children: Children are welcome (our local Scouts are a godsend), but any child under 12 should be accompanied by a parent or guardian. For ages 12 to 16, we'd like to see one adult for every four children. Teens can earn community service hours. Scouts from troops in Newcastle and neighboring cities have made impressive contributions to our trail system. 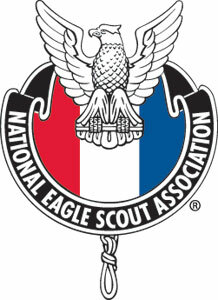 The additional forms needed for Eagle projects are supplied by Scout leaders.